A distribution channel is the set of steps a good or service has to go through to reach the final consumer. At a higher level, distribution channels can be either direct or indirect. At the same time, direct and indirect distribution channels can have multiple variations, according to how the good or service gets to the final consumer. Distribution management: marketing or sales? Often companies undervalue distribution channels as they think that a good product or service will automatically create its distribution. While this might happen, it is more of a utopia than reality. Distribution needs to be created, at times with sheer force combined with strategic planning and deep understanding of customers needs, or desire generation. A traditional distribution strategy looks at the classic 4 Ps (product, promotion, price, and placement). Without an appropriate strategy of distribution, it is hard to have a successful and sustainable business model. At a higher level, distribution channels can be broken down in direct and indirect. This primarily depends on how long is a chain between who makes the product and the final consumer. Where in a direct distribution strategy a producer can access the consumer, in an indirect distribution strategy, the producer will meet its consumer demands via third-parties wholesalers or retailers. Thus, a direct approach makes the value chain shorter and at the same time allows more control by the producer on how the final customer experiences the product or service offered. At the same time, a direct to consumer strategy is quite expensive and not always effective enough to allow proper distribution. 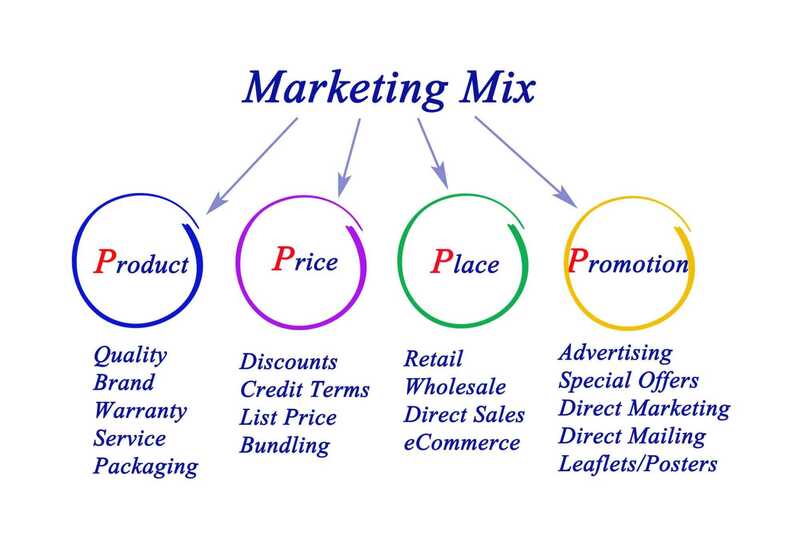 Therefore, companies often use a mixture of direct and indirect distribution strategies, which determine their marketing mix. Between the direct-to-consumer and entirely indirect distribution strategy (where the producer sells to a wholesaler), there are several indirect variations, based on how many steps it takes to reach the final consumer and how long is the value chain. For instance, in the scenarios in which a producer sells to a wholesaler, the wholesaler sells to retailers, who reach the final consumers. However, in some other cases, the distribution channels might be shorter. Think of the Costco business model, where the company purchases a selected variety of goods in bulk from producers. Yet instead of reselling that to retailers, Costco itself acts as a retailer, by leveraging on its membership-based business model and selling those items in bulk quantity directly to consumers, who appreciate the convenience of its prices together with the selection of high-quality products. In other cases yet, the distribution channels strategy might be even shorter. Take the example of the Apple business model where the company sells part of its products via its retail stores, which create a unique experience for Apple‘s consumers and make the value chain shorter. It is easy to confuse and mix up the definition of distribution channels with the supply chain even though the distribution channels and strategies might sometimes cross with the supply chain. The distribution strategy concerns primarily on bringing the product in front of customers, and especially customers that are willing and ready to buy it. Therefore, in some cases, bringing a product in front of the right people might be a matter for the supply chain. For instance, in the Luxottica business model, vertical integration means the ability to control the full customer experience and to choose also the location of the retail stores. Thus, this is a case in which supply chain management also becomes a distribution strategy. It is critical to maintaining a clear difference between supply chain and distribution channel strategy. While the supply chain comprises all the planning, manufacturing and logistics activities that make the product go from the purchase of raw materials, transformation in a final product that might get delivered to the final customer (Zara business model leverages on supply chain management as a distribution strategy). In short, where supply chain management concerns itself with integrating supply and demand, a distribution strategy involves itself primarily about the demand chain. To have a deep understanding of the difference between the supply chain and distribution strategy it is important to consider three main aspects. Where a supply chain seeks at efficiencies that can, for instance, reduce the cost of purchasing raw materials, at integrating several parts of the supply chain or at creating better logistic. Distribution channels and strategy looks more at creating demand for a product or service by leveraging on several strategies. For instance, having insight about potential customers can allow a company to generate demand via distribution and marketing just like in the Nike, business model. A supply chain concerns with all the aspects that begin with sourcing raw materials, to production processes, inventory management and all the other processes that bring a product or service in front of the final customer. On the other hand, a distribution strategy concerns primarily with the demand chain. Therefore, the difference is primarily internal vs. external. Supply chain affects costs and how to reduce them via efficiencies. Distribution channels and strategy looks at how to grow the demand. Thus, increasing revenues for the business. This distinction is not absolute. As in some cases when a core competence of a company is its supply chain management, then that also becomes a distribution strategy, just like in the Amazon business model case study. Via efficient inventory management, Amazon can keep large facilities where most tasks are automated. This allows Amazon to host third-party inventories, of sellers that are part of the Amazon network. That in turn, makes Amazon stores more interesting for final customers as they can find more products they need, they can get then faster and purchase them in a bundle. In this case, Amazon supply chain strategy in part crosses with its distribution strategy. Where supply chain is often process-centric. In short, it wants to improve efficiency, reduce steps among several parts of the chain, and make the process as smooth as possible. Distribution channels and strategies focus on the customer. Where is the customer? How do we get more of them? Is that a matter of price? Value or product? A distribution strategy is obsessed with customers. Once again, this is a rough distinction as in some cases, companies’ have a customer-centric approach at any company’s level. Demand chain management is a complex endeavor that involves the relations among suppliers and customers and how those interest to grow the demand of the product or service. At the core, it is about designing a business model which makes possible for the organization to meet customer needs, create desire and demand with an existing supply chain. Thus, the demand chain is the value chain from your customers’ perspective. This implies synergies between the supply chain and distribution and marketing to design a business model that delivers the most suited value proposition and generated higher revenues for the business. It is almost like demand chain management allows supply chain management to look outside the company’s boundaries and understand the market. Therefore, demand management will primarily understand, generate and stimulate customer demand and align the supply chain processes with that. A distribution strategy and therefore the distribution channels involved will change based on the target customer. Indeed, selling to a business clientele is not the same thing as selling to consumers. This implies different capabilities and distribution strategy. For instance, a B2B (business to business) distribution strategy might be shorter, as you might be able to reach directly the businesses that will act as intermediaries between you and the final consumer. Think of the case of a company selling software as a service (so-called SaaS). If that software is complex and requires a certain degree of expertise, it will be better suited to be sold via other agencies and third-parties, which in turn will have access to the consumer business. This will imply a distribution strategy focused on acquiring the proper sales force to manage more complex client. On the other hand, if a company sells an App for iPhone, which doesn’t require any particular expertise from the final user. The company will have direct access to its consumers and will use marketing channels, which don’t necessarily require a complex sales force. This is a critical difference between marketing and sales. As consumer behaviors had swiftly changed in the last decades, more and more people purchase via the internet, and they feel more and more comfortable buying expensive items on the web. For instance, Tesla allows you to order a $65K car directly on its site. Therefore, digital distribution strategies are critical for any business, also one that has always operated off-line. Each of those channels can be a critical ingredient to enhance the revenues of a business. Understanding whether distribution management is a matter of sales or marketing is superfluous as it might make us switch the focus from what’s important. However, it makes sense to draw some lines as this allows proper attribution of responsibility and accountability across the departments of an organization. Thus, distribution management is typically seen as a marketing function. Yet, once again it depends on the kind of organization you’re running. Imagine the case of a company that sells to wholesaler or retailers; this means most of the contracts might be managed by salespeople, as they require an understanding of deals terms, relationships and partnerships in place. In that case, your salesforce will be able to give you insights that can help yo improve the distribution strategy. In the opposite scenario, where the company sells a product directly to consumers, most of the processes might be automated. Thus, most of the insights will be in the hands of the marketing department.